Volunteer Builders hasn't added a story. In just one weekend, our goal is to provide a closed-in shell that includes siding, roofing, windows and doors. At times, we have also provided electricity, decking and some interior work, such as staircases and bunk beds. Currently, our build choices focus on children’s summer camps. Many have existed since the early 1900’s and are in dire need of updating. More importantly, however, Volunteer Builders shares the belief that every child should have the opportunity to experience personal development in a fun, safe, and healthy environment. Volunteer Builders hasn't posted any updates yet. 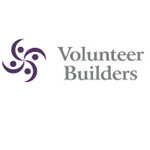 Volunteer Builders is managing the funds for this campaign.